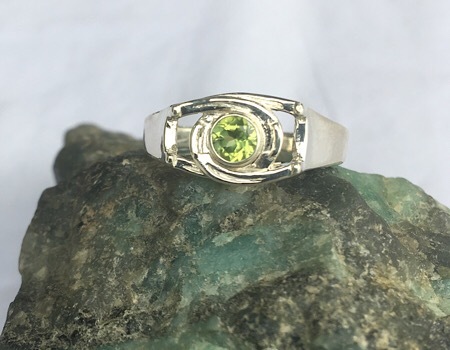 This horseshoe ring has awesome detail with 2 horseshoes crosses with a Peridot set in the middle is really cute. The setting is flat and made for everyday wear and tear. This ring is one you will live in.